Many of Sussman’s approved changes to the pages of his clients engaged in this subtle spin and cherry-picking. Changes to the NBC News page defended the network’s refusal to air Ronan Farrow’s story, subsequently published by The New Yorker, on the sexual assault allegations against Hollywood producer Harvey Weinstein, despite the very sources cited being more critical and Farrow’s own criticism of the network’s refusal to air the story. Feinberg identifies similar spin in Sussman’s portrayal of NBC’s handling of sexual assault allegations against the network’s own Matt Lauer. Not all of Sussman’s work for NBC was noted in Huffington Post’s report. Feinberg mentions Sussman worked on NBC News chairman Andrew Lack’s page, but he also created the initial draft of the page, which another editor approved in its entirety. Sussman’s article notes Lack became NBC chairman amidst controversy over anchor Brian Williams, who was caught lying about his experiences during the 2003 Iraq War. His article did not mention the close relationship Lack had with Williams as noted in one of the article’s cited sources. Lack reportedly even advised Williams during the controversy and lobbied on his behalf with executives. President of MSNBC Phil Griffin also benefited from Sussman’s intervention as a short article on Griffin prominently noting his description of the cable news network as the “place to go for progressives” was expanded in line with a proposal by Sussman. In the new version, the only mention of the channel’s political persuasion involved Griffin disputing claims of a partisan bias at the outlet. Feinberg’s reports about Sussman’s bludgeoning style, such as proposing extensive changes difficult to review and peppering various editors with requests to act on his proposals, is not abnormal for paid editors. Another paid editing firm that has exhibited similar practices is Beutler Ink, run by long-time editor and Wikipedia blogger William Beutler. Beutler has been engaged in paid editing for over a decade, having previously worked for New Media Strategies on behalf of clients such as Disney and Koch Industries. His more recent paid editing has been at his eponymous firm and includes work for several figures in government and media. In 2016, he had the page on CNN contributor Hilary Rosen changed to remove mention of aggressive tactics she pursued against file-sharing while head of the RIAA, despite repeatedly citing a Wired article detailing them. His only reference to criticism Rosen faced during her tenure was mentioning she received death threats and had to hire security. A section on her LGBT advocacy was also added, which ended up being the second-longest on her page. Controversies involving her role as a PR consultant at Democrat-affiliated SKDKnickerbocker, who paid Beutler, were greatly trimmed and watered down. SKDKnickerbocker also hired Beutler to help with the article on then-ambassador to Hungary under Obama, Colleen Bell. His proposed changes were largely implemented and toned down criticism of her appointment while touting her work as ambassador with a particular emphasis on her criticism of Hungarian President Orban’s policies on refugees. Bell’s appointment had been criticized due to her role as a bundler for Obama and another ambassador who faced this criticism, Robert Mandell, also hired Beutler. He proceeded to have information about the amount Mandell raised for Obama replaced with the smaller amounts Mandell personally donated. Another client of Beutler’s was Brian Krzanich, the CEO of Intel, whose page Beutler got changed to burnish his progressive credentials. His article previously focused mostly on controversy over a fundraiser for Trump held at his home. Krzanich was not the only CEO client of the firm. One employee of Beutler’s firm got the page on Reddit CEO Steve Huffman changed to hype his role in redesigning the site after stating he joined at a “particularly difficult time” for the site. The changes also downplayed Huffman contradicting Reddit’s long-time free speech stance despite citing a source that noted numerous high-level company figures, including former CEO Yishan Wong, previously acknowledged this stance. One pattern of Sussman’s Wikipedia behavior that Feinberg mentioned and Beutler also demonstrated was a tendency towards canvassing editors or groups to get them to act favorably on his requests then repeatedly going back to them for more support. Like several requests from Sussman, Beutler’s requests for assistance tended to be geared towards eliciting sympathy for his efforts and bias editors in favor of his position. Using notifications that would bias discussion in their favor would, as Feinberg suggests, go against Wikipedia guidelines. Their commonalities also extended to the occasionally questionable choice in assistance. One of Sussman’s requested changes on Swan’s page was implemented by someone who was also a paid editor and that Sussman specifically requested. He sought the same editor’s help with the NBC article. Beutler in his efforts sought help on the Rosen and Mandell articles from editors who had worked for the United States government, which they both disclosed as potential conflicts of interest. 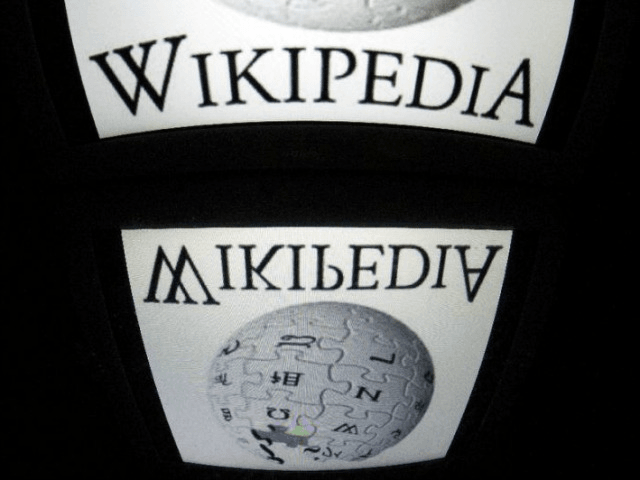 Wikipedia’s policies do not ban paid editors from approving the proposals of other paid editors provided they are not working for the same client. In a case last year, Wikipedia’s Arbitration Committee, akin to a Supreme Court, sanctioned two long-time editors after one had his paid edits approved by the other despite both working for the same paid editing firm. Neither were banned for these practices, not even from further paid editing. Just as with Wikipedia’s supposed reliability against fake news, rules permitting disclosed paid editing presume the unpaid amateurs on the site will be able to effectively analyze and evaluate the edits of well-compensated professionals. However, even undisclosed paid editors frequently slip past Wikipedia’s ad hoc methods of detection. The site’s effectiveness at constraining bias introduced by paid editors is thus not much greater than its ability to constrain its rampant political bias.